Brilliant sunsets framed by red rock and windy rivers cutting through mountains have always evoked a creative spirit that artists have moved from their viewpoint to their canvas. These dazzling scenes inspired by southern Utah will be on display with the annual Southern Utah Art Invitational Exhibition and Sale. 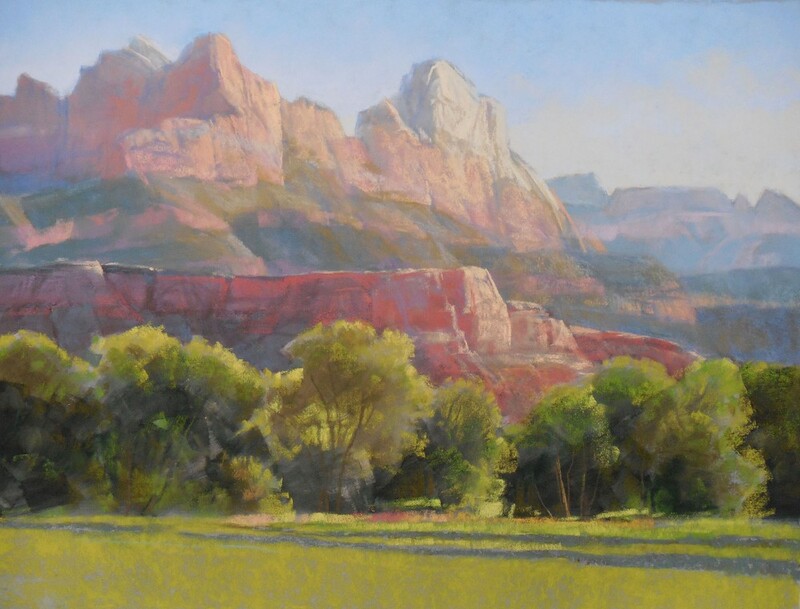 Beginning June 23 and running through September 13, the Braithwaite Fine Arts Gallery located at Southern Utah University will give all the opportunity to take the pieces of art home. The Invitational officially opens Friday, June 27 with a reception beginning at 5 p.m. at the Gallery. All artists featured in the Southern Utah Art Invitational Exhibition and Sale are committed to the legacy that art has the power to inspire and influence, and all money raised at the Invitational will go to benefit the community through education and outreach programs for Iron County students, as well as ongoing support of the Southern Utah Museum of Art (SUMA) in the forthcoming Beverley Taylor Sorenson Center for the Arts at SUU. The Exhibit will feature the works of southern Utah’s most celebrated artists, displaying more than 100 pieces from various mediums, including paintings, photography, jewelry, pottery, glasswork and ceramics, all of which can be purchased on site at the Gallery. Admission to the Exhibit is free, and the general public is welcome. The Gallery is open Monday through Saturday, 10 a.m. to 8 p.m.
For more information about the exhibitions at the Braithwaite Fine Arts Gallery, call 435-586-5432, or visit suu.edu/pva/artgallery.